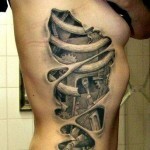 Maybe it’s been a while since you got your last tattoo and you are looking for an idea that will really stand out. 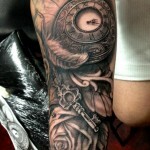 Maybe you have a killer spot for your next piece and you want it to be perfect. Sure, you have plans, just no ideas. 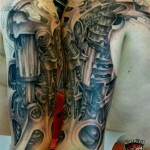 Well, have you considered a steampunk tattoo? 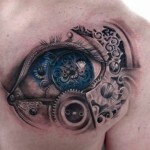 For starters, I think a definition of Steampunk is in order. 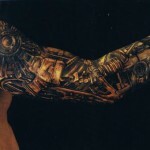 Basically, Steampunk is an area of science fiction. It started out as a literary genre that replaces modern technologies with those common in and around the 19th Century. Modern technologies are retro-fitted with era-appropriate hardware made from simple materials like copper and iron. Things that would normally run on other types of power run on steam instead. 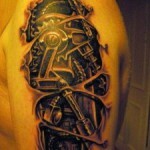 Steampunk is also not limited to machinery. It can be applied to anything that moves which then includes anything that lives as well. 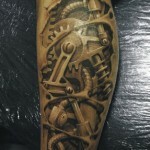 The thing that makes Steampunk such a great starting point for your next tattoo is that it can be applied to basically anything. 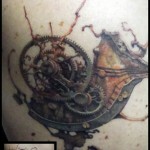 The premises for Steampunk stories vary but a Steampunk tattoo can convey any idea you want. The rules are simple when it comes to the visuals: anything that technologically fits the Victorian Era is going to be a good bet. 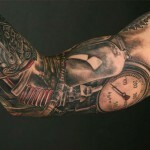 Create a Steampunk design of your motorcycle, your car, your bicep or your hamster. Retro-fit your favorite guitar with Steampunk accessories. 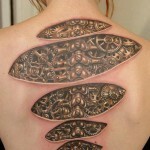 The possibilities are endless and a Steampunk tattoo can virtually immortalize the best your imagination has to offer. 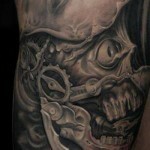 Think back to some designs you might have considered in the past but couldn’t figure out how to really make them work. 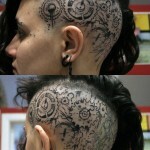 Now think about them from a Steampunk angle. All of a sudden, those old ideas have some new life and some new mojo. 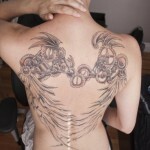 Maybe you already have a design you love to show off. 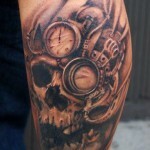 How about a steampunk tattoo counterpart? That’s right – show the evolution of that design. 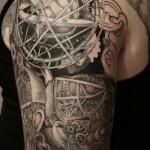 You can also create a half- or full-sleeve design that turns your arm into a powerhouse of pressurized Steampunk gears and gadgets. 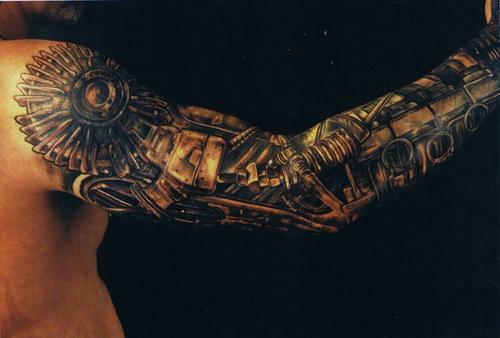 The possibilities really are endless. 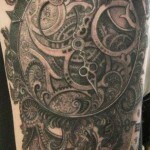 If you like the idea of a Steampunk tattoo but just can’t seem to come up with a design on your own, see if you can find an artist who specializes in Steampunk designs. 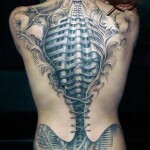 A lot of times they can come up with things you never would have thought of otherwise and create the perfect design. 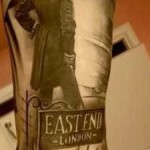 I am very interested in the first image on this article (East End London), Is this a tattoo done by yourselves or do you know where I can find any other images of it or the design? 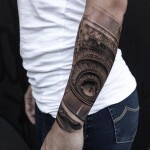 I am interested in adding to my steam punk tattoo and want to know where I can get hold of these pictures. Any help would be appreciated. Am I missing something or are there seriously no artist or shop credits in this article? 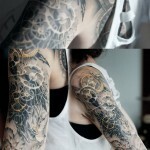 I’d really like to locate and contact some of them about a tattoo I’m looking to get. 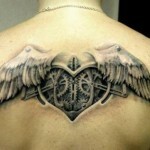 For the photos that we find credits in the description of the photo we add them in the title. 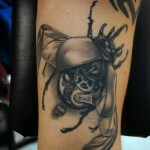 Sadly they are few, still we do our best to crawl the web for the artist of the tattoos and change the titles when we find them.